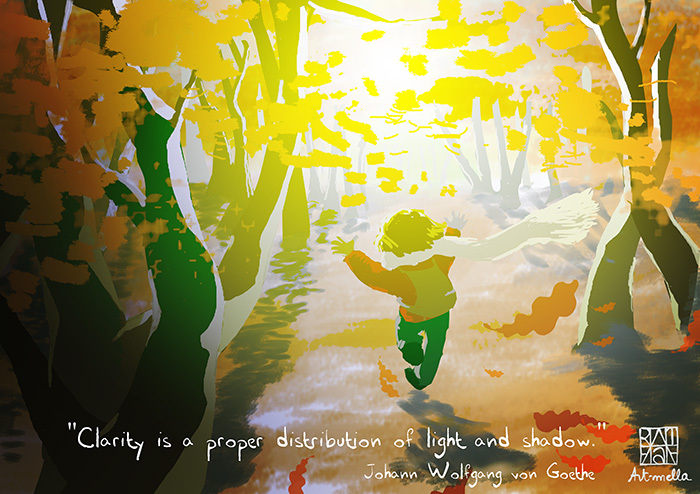 Yes, I feel like colors and light these times 😉 …An opportunity to share with you a memory of Fall… And a quote from Johann Wolfgang von Goethe. Great clarity to you, with you shadows, your lights, “all your perfect imperfections” 😉 ! Previous story How to see life with the eyes of a child again?